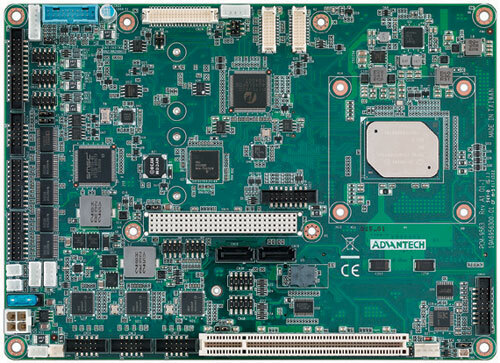 The PCM-9563's design is based on the EBX form factor and provides expansion support via PCI-104, a PCI slot, M.2, mSATA and a Mini PCI Express slot. 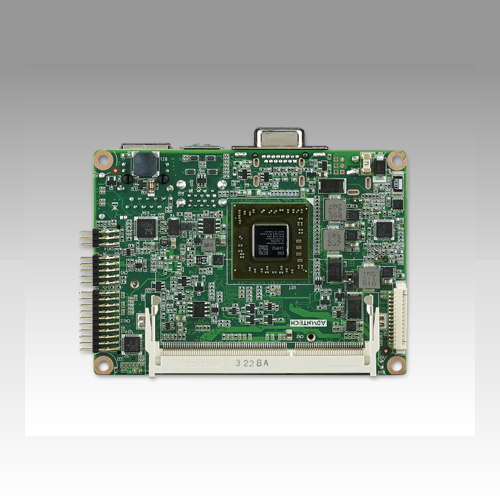 The EBX form factor also provides convenient connector layout for easy assembly, more efficient cable connections, and better overall embedded system integration. This compact unit (only 8" x 5.75") offers all the functions of a rack type industrial computer, but still fits in the space of a CD-ROM drive. On-board features include: six serial ports, eight USB (Universal Serial Bus) 2x USB 3.0 and 6x USB 2.0 ports, up to three Gig Ethernet ports, an Audio port, with speaker output and a PS/2 keyboard/mouse interface. 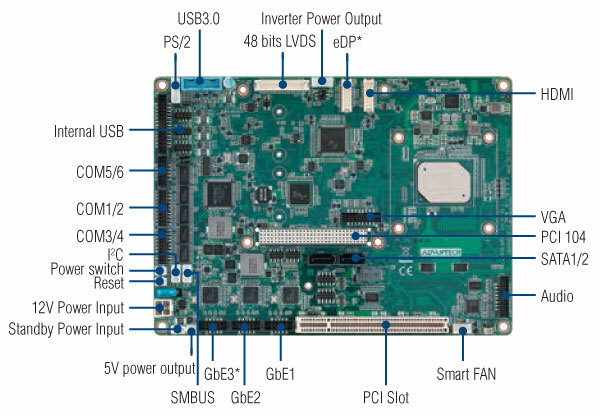 The built-in high-speed SATA Hard Driver controller supports a maximum transfer rate of 300MB per second. Up to three drives can be connected, including large hard disks, CD-ROM drives, and tape backup drives.